With a stay at Pampa Hostel, you'll be centrally located in Buenos Aires, within a 15-minute drive of Estadio Monumental and University of Buenos Aires. Featured amenities include complimentary wired Internet access, dry cleaning/laundry services, and a 24-hour front desk. A train station pick-up service is provided at no charge. 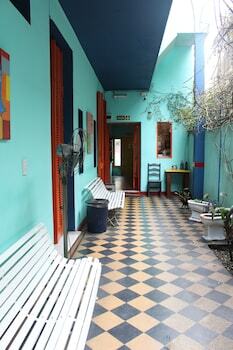 Located in San Rafael, Hotel Regional is within a 5-minute drive of Plaza San Martin and Plaza Independencia. Free self parking is available onsite.